Fantasy Pros has a great Average Draft Position tool, that can show you the difference in a players value between Yahoo, ESPN, CBS, NFBC, Fantrax and RT Sports leagues. We took a look at the top 100 players overall, on average, drafted in Yahoo, ESPN, CBS and NFBC leagues and found which players the "average" (Yahoo, ESPN, CBS) fantasy baseball owners were over/under valuing compared to the "elite" (NFBC) fantasy owners. Obviously with Tanaka's health unknown, fantasy owners are confused at when/if to draft him. 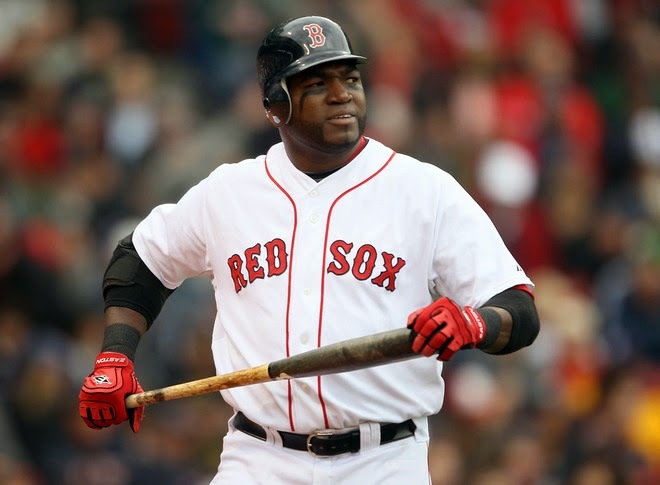 David Ortiz is now 39 years old and I wouldn't mind having Big Papi on my team, but I agree with the NFBC players, his ADP of 68 is a bit early and selecting Ortiz with the 91st pick would be a better option. Yahoo and ESPN owners are taking him in the 5th round! Jon Lester, Carter, Holliday, Ortiz and Tanaka were found to be overvalued in Yahoo, ESPN and CBS leagues by at least 10 picks, compared to his NFBC ADP of 54. With an ADP of 56, Dee Gordon is coming off draft boards as the 5th or 6th 2B and for a guy who doubled his career AB totals in a single season, that is a little to early for me. NFBC owners love him and with an ADP of 40 are taking him before all other league owners. Speed is a serious distraction in fantasy baseball. Marte is the only player Yahoo, ESPN and CBS leagues agree is being overvalued by NFBC leagues. Marte has an ADP of 35 in NFBC leagues, yet his average ADP is 46 and Yahoo owners are waiting until the 58th pick to select the Pirates OF. CBS owners must hate Shields because his ADP of 103 is nearly 20 slots lower than his average ADP of 86! ESPN owners love him at 67, Yahoo owners understand him at 83 and NFBC owners are a bit weary of him with an ADP of 93. Springer is coming off boards right around pick 40, and the NFBC ADP is 37, but Yahoo and ESPN owners are waiting until 10 picks later to draft the Astros OF, while CBS owners are reaching and grabbing Springer before the 3rd round is over! With an average ADP of 71, Samardzija is being selected 62nd overall in CBS and ESPN leagues, right around 74 in NFBC and 86th in Yahoo leagues! CBS owners are not fond of Greinke either, with an ADP of 63 compared to his average of 46. Yahoo and ESPN owners will reach for him about 10 picks early while the NFBC owners understand his true value at 48.